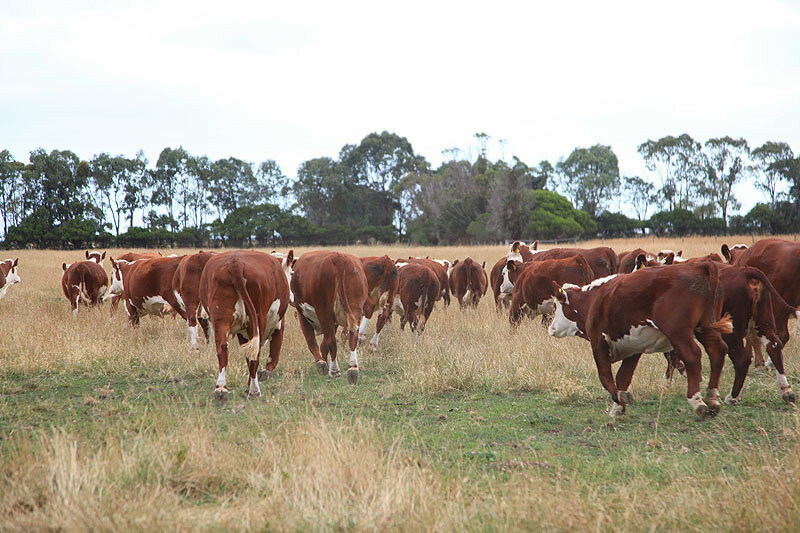 Warringa Herefords will again participate in the Stock and Land Beef Week Field Days. We look forward to welcoming our clients, friends and visitors to our property on Monday 5 February 2018, from 9am to 6pm. 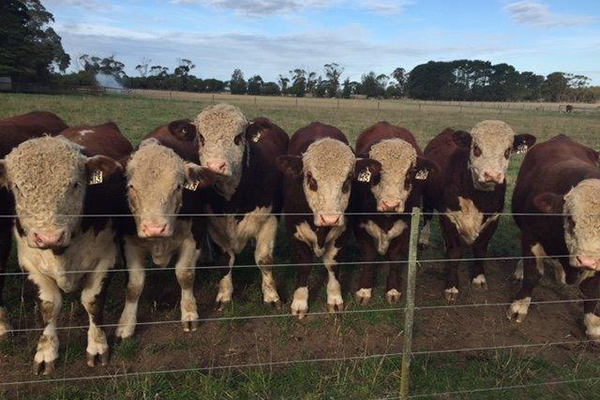 We have six rising two year old bulls for sale priced from $4000. 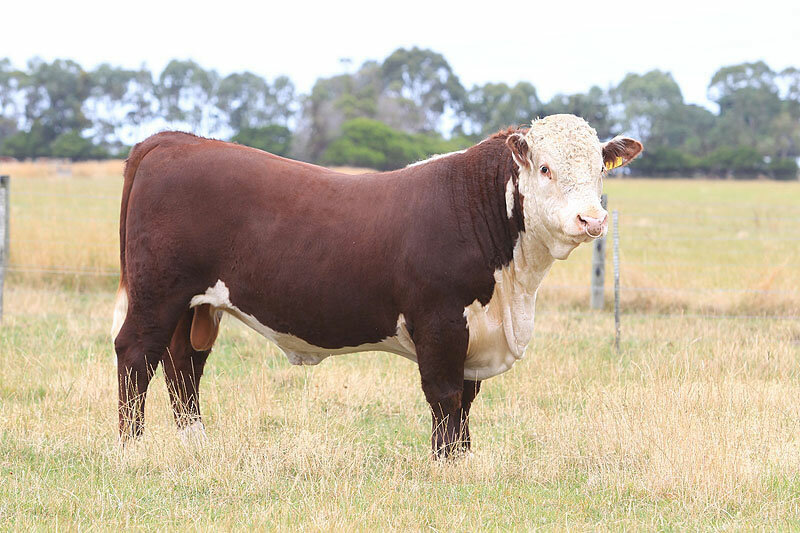 All bulls are sired by Days Director H202 (P) who we purchased at the 2014 Herefords National Show and Sale at Wodonga after he was judge Supreme Champion Poll Hereford Bull. 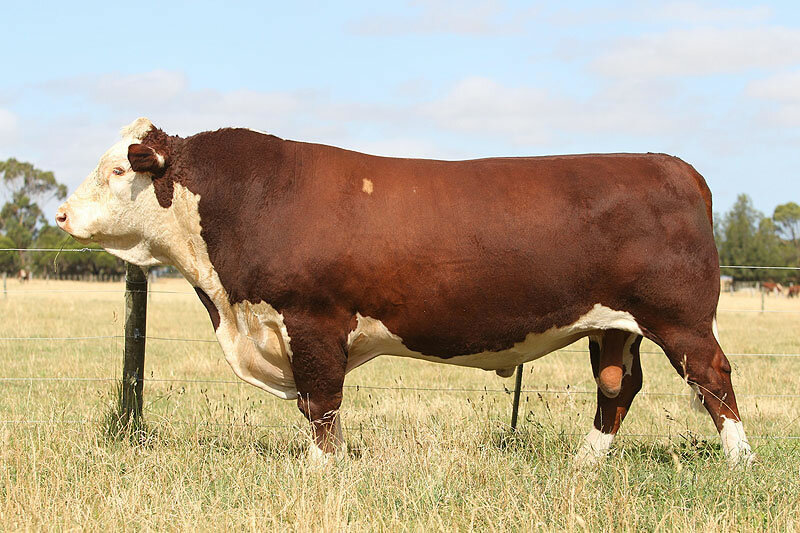 Director is homozygous polled and has breed very well at Warringa producing progeny with magnificent quality of carcase, length and depth of body and capacity, 100+ eye pigment. Director is a trait leader for Birth Weight and Scrotal Size. 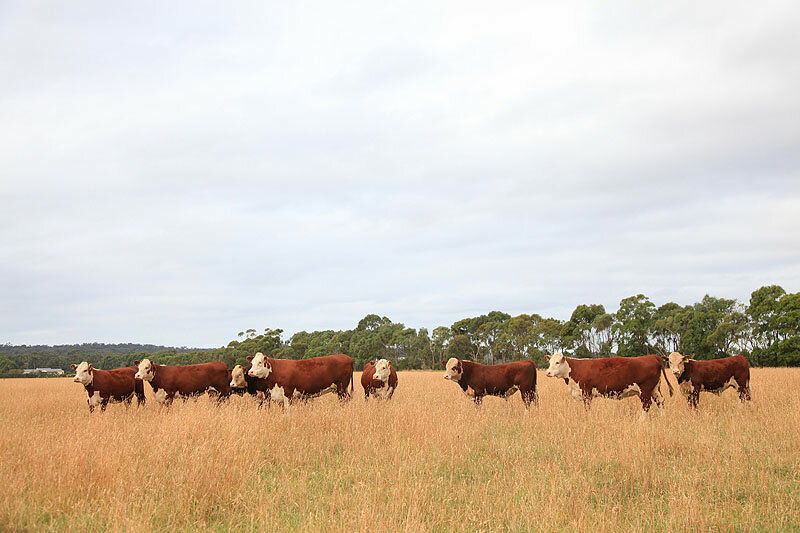 Warringa believe this very impressive group of young bulls have outstanding potential and are arguably the best group of young sires ever bred at Warringa. They have low to moderate Birth Weight, Growth, well above average Milk, excellent Scrotal Size, EMA and Carcase quality all supported by a good set of EBV’s. 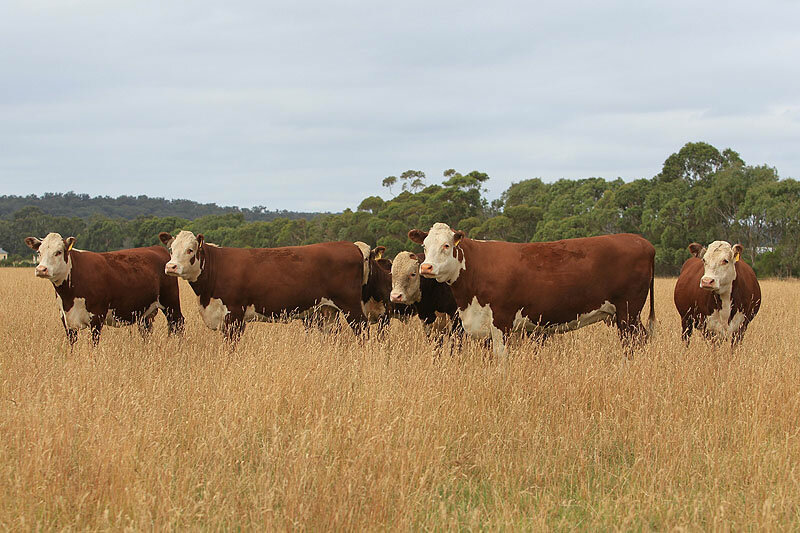 Warringa has now introduced genomics into their management and selection process, they DNA test every animal with at least a SNP (LD), they also test every animal for all known genetic conditions. They also test, where appropriate,for Homozygous and Heterozygous polledness. 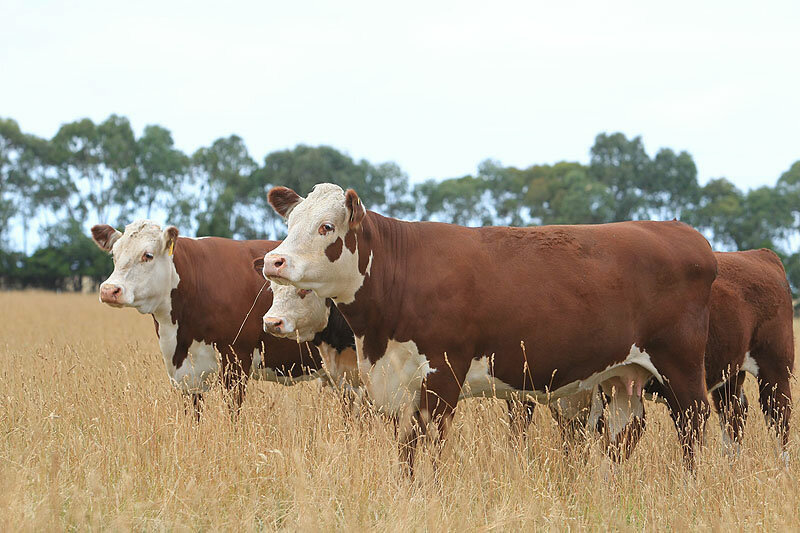 These tests ensure the accuracy of all pedigrees and that there are no genetic conditions within their herd and to ensure their genomics are included in their Single Step Breedplan EBV’s. Warringa is EU accredited, a member of MLA and LPA with a Farm Biosecurity Plan and a J-Bas Score of 8. All Bulls are tested for Pestivirus and fertility guaranteed. Warringa offer free delivery anywhere in Victoria. All our cattle will be on display and we extend a warm welcome to all to attend and inspect our cattle and enjoy our hospitality. For more information go to Sales on our webpage or contact Bill on 0407 825 555.